The last of the "Win and You're In" prep races have been run and just three weeks remain until the 2018 Breeders' Cup World Championships at Churchill Downs. With that in mind, now seems like as good a time as any to take an early look at each of the fourteen races and start looking for deserving favorites, vulnerable contenders, and live longshots worth considering. Without further ado, let's dig in! I don't have any strong opinions here, but I am intrigued by Wesley Ward's filly Stillwater Cove, who won the 5 ½-furlong Bolton Landing Stakes at Saratoga with a sharp late run before finishing a very respectable fifth in the one-mile Natalma Stakes (gr. I) at Woodbine after chasing a fast pace and leading past the eighth pole. She and her stablemate Moonlight Romance, winner of the Kentucky Downs Juvenile Turf Sprint Stakes, could both be very competitive here. Even if the very best two-year-old fillies in Europe came to contest this race, which won't happen, I'd have my doubts that they could beat Chad Brown's juvenile sensation Newspaperofrecord. The Irish-bred daughter of Lope de Vega demonstrated a wicked turn-of-foot to win her first two starts at Saratoga and Belmont by a combined 13 ¼ lengths, and she's got enough tactical speed to secure a forward position and stay out of trouble in what should be a large field. With three weeks until the Breeders' Cup, I view her as the most likely winner in any of the fourteen races. We've seen some impressive performances this year from Bellafina, Jaywalk, Restless Rider, and Serengeti Empress, and while the latter two have the benefit of experience at Churchill Downs, Bellafina is a three-time graded stakes winner and the fastest filly from a Beyer speed figure perspective. She might simply be the best horse and a deserving favorite, though the Juvenile Fillies does have a long history of producing major longshot winners and I might ultimately be tempted to go outside the box a bit in this race. With Fog of War injured, North America has lost arguably its best candidate to defend the home turf, so my focus here will likely rest on whichever European runners make the trip. Aidan O'Brien's Anthony Van Dyck, runner-up in the Vincent O'Brien National Stakes (Ire-I), is highly-regarded in the international ante-post wagering and is scheduled to run on Saturday in the Darley Dewhurst Stakes (Eng-I) at Newmarket, which should give us a better feel for his talent and his likelihood of traveling for the Breeders' Cup. In my opinion, this is shaping up to be a two-horse race between Game Winner and Complexity, and although the latter was quite impressive winning the Champagne Stakes (gr. I) in gate-to-wire fashion, my money will almost certainly be on Bob Baffert's Game Winner, a stoutly-bred son of Candy Ride who unleashed relentless rallies to win the Del Mar Futurity (gr. I) and the American Pharoah Stakes (gr. I). He's the fastest horse on paper, is proven around two turns, and should be very tough in the Juvenile. The Ballerina Stakes (gr. I) winner Marley's Freedom has impressed me as much as any female sprinter this season, but with an illness working its way through trainer Bob Baffert's barn, Marley's Freedom skipped a scheduled prep run in the L.A. Woman Stakes (gr. III) in favor of training up to the Breeders' Cup, which is a little bit of a question mark. Aside from Marley's Freedom, I could definitely build some enthusiasm for Golden Mischief, who battled her way to a narrow triumph in the Thoroughbred Club of America Stakes (gr. II) at Keeneland. That race has traditionally been a very productive prep for the Filly & Mare Sprint, and Golden Mischief has quietly won three straight stakes races this summer and fall, stamping her as an interesting "under the radar" win candidate. Last year's Turf Sprint winner Stormy Liberal has won three straight races and should have every chance to defend his title, though the Turf Sprint is always a wildly competitive event and we'll probably be able to make a case for at least a half-dozen other runners. Disco Partner loves firm turf, six furlongs, and Belmont Park, but has the raw talent to contend going shorter at Churchill Downs, while Bucchero won the Woodford Stakes (gr. III) at Keeneland and is a local runner with an affinity for this 5 ½-furlong distance. The undefeated Catalina Cruiser has demonstrated a world of talent in four career starts, winning the San Diego Handicap (gr. II) and the Pat O'Brien Stakes (gr. II) with ease, and the one-turn mile of this race should be perfect for him. On the other hand, he's never run outside of California and will be facing tougher competition at Churchill Downs, so I'm not completely sold on the notion that he's unbeatable at a short price. The classy late runner Mind Your Biscuits will be tough to hold off if he runs here rather than in the Classic, and City of Light—a two-time Grade 1 winner going seven furlongs and a Grade 2 winner going nine furlongs—could find this distance to be his absolute best. The best of the North American contenders hail almost exclusively from the barn of Chad Brown, who has Sistercharlie and Fourstar Crook as his main duo with Onthemoonagain, Santa Monica, and Rushing Fall perhaps worthy of running as well, depending on how the latter two perform in their Grade 1 tests this Saturday. But from Europe, the three-time Group 1 winner and Epsom Oaks (Eng-I) runner-up Wild Illusion looms as a significant threat and might be my top choice at this point. The five-time Group 1 winner Laurens would be another strong contender if she comes, though the 1 3/8-mile distance of the Filly & Mare Turf might be just a bit beyond her best. In what could be among the classiest and most competitive Breeders' Cup races of 2018, last year's top two finishers Roy H and Imperial Hint remain in top form as they prepare for a rematch, with the ultra-fast three-year-old Promises Fulfilled shaping up to be a major player on the front end and Limousine Liberal a challenger from off the pace. I have a soft spot for the pure speed of Promises Fulfilled, who reminds me a lot of the 2015 Sprint winner Runhappy, but I also have a lot of respect for his older rivals and suspect that Limousine Liberal—who endured a troubled run when finishing just behind Promises Fulfilled in the Phoenix Stakes—might have a legitimate chance to spring the upset. After all, he's got a fantastic record of success at Churchill Downs, and that shouldn't be underestimated. Give Oscar Performance an easy lead, and it's almost impossible to run him down, as his rivals in the Woodbine Mile (gr. I) quickly discovered. How do you catch a horse who can finish the last two quarters in :22.71 and :21.63? There are some pretty good Europeans eyeing the Breeders' Cup Mile, but with the injury and retirement of superstar filly Alpha Centauri, the raiders are unlikely to be insurmountable and Oscar Performance might well win one for the home team. Abel Tasman never fired when finishing fifth in the Zenyatta Stakes (gr. I), but she was dealing with an illness that day and remains the fastest and most accomplished contender on paper. The question is, do we want to back her at a short price when she's coming off a complete no-show in her final prep race? The three-year-old Monomoy Girl is the most logical alternative after crossing the wire in five straight Grade 1 races this year, but I'm just as interested in the Spinster Stakes (gr. I) winner Blue Prize. True, she posted a Beyer of just 94 in the Spinster, but I don't think there's any doubt that she would have run significantly faster if she hadn't been weaving around dramatically down the homestretch, antics which nearly cost her the race. If she straightens out at Churchill Downs, a track where she's run quite well in the past, I think she has the potential to post an upset in the Distaff. The best of North America's contenders have pretty much taken turns beating each other this year, and while I still have respect for Robert Bruce—who caught a poor pace setup over a soft turf course when finishing second in the Joe Hirsch Turf Classic (gr. I)—I'll be looking toward Europe for the winner of this race. The two-time Prix de l'Arc de Triomphe (Fr-I) winner Enable would be an obvious choice if she makes the trip, as would the three-time Group 1 winner Roaring Lion, but if they stay home then a horse like Crystal Ocean—narrow runner-up in the King George VI & Queen Elizabeth Stakes (Eng-I) at Ascot—could be good enough to get the job done. Accelerate has won four Grade 1 races this year and is clearly the most accomplished older male in training, but he's run outside of California just once in his career, and he seemed a bit dull in the Awesome Again Stakes (gr. I) last time out, racing sluggishly early on before rallying to a hard-pressed victory while earning a significantly lower Beyer (100) than usual. I don't think he's a lock in the Classic, which would leave this race wide-open for an upset. The Travers Stakes (gr. I) winner Catholic Boy and the Pennsylvania Derby (gr. I) winner McKinzie will attract plenty of play, but I'm tempted to throw my support behind Yoshida. He's always shown a lot of class and talent on turf, but he took his game to a new level when switched to dirt for the Woodward Stakes (gr. I) at Saratoga, unleashing a very wide run from off the pace to swallow the field and win going away. Considering his past success on grass, I think he'll enjoy the main track at Churchill Downs (which has a reputation for playing kindly toward turf horses), and don't forget, the last time the Classic was held at Churchill Downs, Yoshida's trainer Bill Mott sprung a 14-1 upset with the late-running Drosselmeyer. If you like Yoshida, you'll surely get a good price, for despite his Woodward victory he seems to be overlooked in most discussions of the top Classic contenders. Now it's your turn! 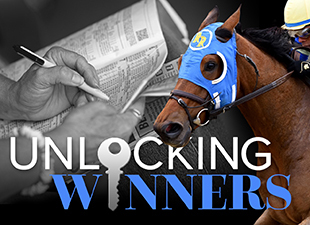 With three weeks until the Breeders' Cup, who do you view as the top contenders in each race?